We are leading experts on Swedish and international corporate taxation, as well as on VAT. Our clients are primarily large and medium-sized enterprises in all sectors. We possess the skill and expertise to deal with tax issues of all kinds. We guarantee that our advice is independent of other advisory services, such as audit, for example. We offer a unique alternative to the tax advice provided by law firms and accounting firms. We have the sector-specific expertise needed to provide advice that is tailored to our customers’ business – advice that adds value. We provide clear, specific advice, whatever the question. We give honest answers and have long experience of advising on a broad spectrum of complex tax issues. 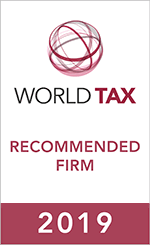 We are members of TAXAND, the premier international network of independent tax advisers. From February 1, 2019, Skeppsbron Skatt becomes a part of Aspia, a leading provider of business-related services. For our customers, no immediate difference will be seen, except you will now have access to 1 450 additional specialists in payroll, accounting and advisory services at 70 locations across Sweden and specialists throughout the Nordic region.